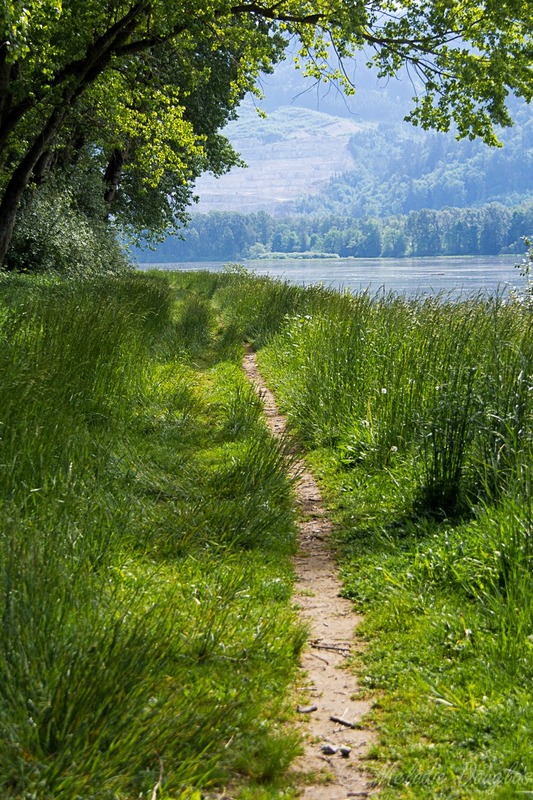 A quiet path along the Fraser River. Branches of big old trees span across the path bringing much needed shade on a hot day. 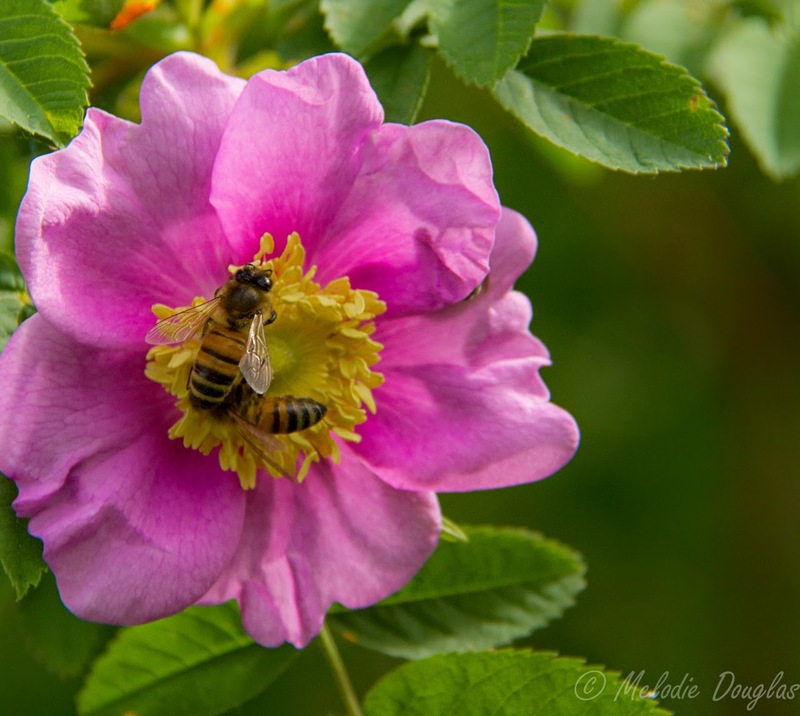 Wild roses are beginning to bloom, I listen to the drone of the bees as they move from flower to flower.